We don’t always have positions available but we are always happy to hear from people with good credentials who are interested in working with animals. We’d be happy to take your applications and resumes – even if we don’t have an open position, we like to keep a record of keen applicants for future reference. Dog walking and pet sitting can be intensely rewarding jobs for the right person. Not only do you get all the benefits of working outdoors and daily exercise, but the relationships you form with the animals you work with are a true pleasure. However, the job does have its challenges, requires dedication and commitment, and isn’t for everyone. You have to be willing to work in all weathers, and to work with dogs of all shapes, sizes and temperaments. It requires patience, care and an understanding of the way animals think and act. You must also be prepared to deal with emergencies, and the occasional dog with emotional or psychological problems. There are a lot of rescue dogs in this city, some of whom have been neglected and abused in the past and who require a special degree of compassion and diligence. A lot of people look upon dog walking as an “in between” job, something to tide them over for a few weeks or months, but at King Pup we prefer to hire people who can commit to the position for at least a year, can demonstrate a genuine passion to work with animals and who preferably has some form of relevant animal experience, whether from long term dog ownership or in a more professional capacity like working at a shelter or vet’s office. While you don’t strictly have to have had prior dog walking experience, we do prefer that candidates have had some kind of experience with animals prior to working with us. That could be anything from owning dogs to volunteering for an animal charity. Having said that, people who have worked as dog walkers before are particularly welcome to apply! You should also possess an internet-enabled smartphone. Since dog walking and pet sitting not only involve entering people’s apartments unsupervised but also taking care of precious pets who are part of someone’s family, we do request that applicants have a clean record. We also require at least 3 references so that we can verify that you have the right attitude and work ethic for the job. If these references include prior animal related experience then that’s a bonus! 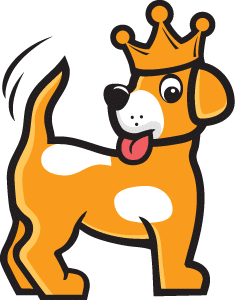 King Pup would love to hear from you!